Guided and strengthened and upheld by thee. As one with him, our Brother and our Friend. To follow truth, and thus to follow thee. Enough to know that we are serving thee. 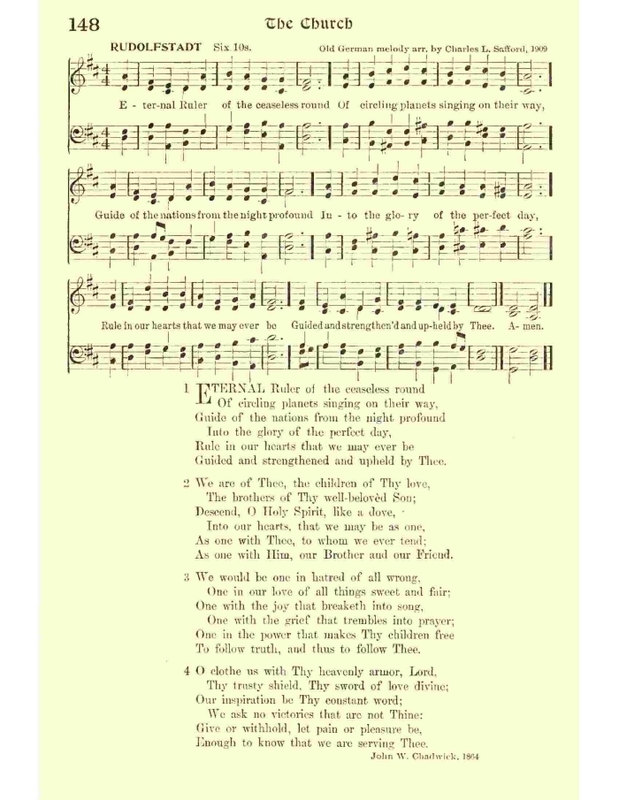 Sheet Music "Rudolfstadt," an Old German melody arranged by Charles L. Safford, 1909, from Henry Sloane Coffin and Ambrose White Vernon, eds., Hymns of the Kingdom of God. New York: The A. S. Barnes Company, 1910, #148.